Search results for homes for sale in Urbana Highlands, listings updated daily. Sell my Urbana Highlands Home: How Much is My Home Worth? 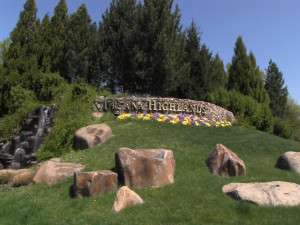 Urbana Highlands was established in 1999, a master planned community with views of Sugarloaf mountain and Frederick farmlands. Located 4 miles south of the City of Frederick and 5 miles north of the Montgomery County line, it serves as a great commuter community. Urbana Highlands has been designed with green spaces, nature paths and biking trails, as well as parks, pools, playgrounds, tennis courts and ball fields. It is conveniently close to shopping centers and business spaces, restaurants stores and amenities. The award winning community has single-family homes, townhouses and condominiums, with many choices in styles. The HOA for Urbana Highlands has a website and provides information about the community. 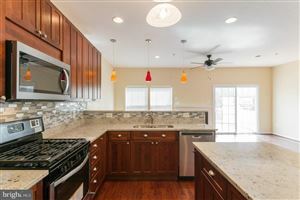 Homes for sale in Urbana Highlands is updated daily, please book mark or sign up for our email notifications so you can get updates in your inbox for what is new on the market in Urbana and surrounding Frederick County. Contact Chris Highland for a personal tour of any listings on the market. In 2006, the Urbana Regional Library and Senior Center opened on Amelung Street. The facility includes three floors and over 25,000 square feet. Urbana has some of the best ratings for elementary, middle, and high schools in Maryland. The population is very diverse and was named “The 2009 Best Selling Community in Maryland”. The community has three swimming pools, a new district park, plenty of tennis and basketball courts and is close to the 270 technology corridor.